25/10/13 -- Soycomplex: Beans finished around 9-10 cents lower on the day, but with still with net gains for the week. Meal showed strong gains for the week, following yesterday's huge weekly export sales total of 850 TMT. That meal number included a 383 TMT sale to unknown destinations, thought to possibly be Europe booking US meal due to the slow crush pace in Argentina. Today saw a little pre-weekend sell off, with producer selling in evidence with beans priced at over USD13/bu. There is also an election coming up in Argentina on Sunday. A further weakening of the Argentine Peso would in theory improve their export competitiveness, but may simply discourage farmer selling further. US farmers will have been busy with harvesting this week, which should continue over the weekend, with showers in the forecast for early next week. The USDA is expected to reveal the 2013 US soybean harvest might be around 80% complete in Monday night's crop progress report. The USDA is slowly catching up on old data and so too is the CFTC. They've now released the Commitment of Traders report for the period through to Oct 1, which shows managed money decreasing their net long position in beans by 25,392 contracts, to 109,860 lots. The USDA today announced 120 TMT of US beans sold to China for 2013/14 delivery. The Buenos Aires Grains Exchange said that Argentine soybean plantings are 2.4% complete. They estimated this year's soybean planted area at 20.2 million hectares versus 19.7 million in 2012/13. Sunflower planting is 46.6% complete versus 33.2% a week ago and 47.9% a year ago. First notice day for November beans is next Thursday, so longs need to be out by Wednesday night or risk delivery. Open interest at over 150,000 contracts is unusually large so there could be some "freak" activity in the run up to that. Nov 13 Soybeans closed at $13.00, down 9 3/4 cents; Jan 14 Soybeans closed at $12.93 1/2, down 10 1/4 cents; Dec 13 Soybean Meal closed at $423.50, down $2.50; Dec 13 Soybean Oil closed at 40.73, down 40 points. For the week Nov 13 beans were 8 3/4 cents firmer, with meal up $13.40 and oil falling 95 points. Corn: Corn closed with marginal losses for the day and the week as an active harvest is balanced by strong demand. Some estimates I've seen suggest that the USDA could report corn harvesting as much as 60% complete on Monday night, up sharply from 39% a week ago and in line with an average year. Others have harvesting at around 50% done, which is probably a more realistic figure. The Buenos Aires Grains Exchange said that corn planting in Argentina is now 26.8% complete versus 18.5% a week ago. They have the 2013/14 Argentine corn planted area at 3.46 million hectares, unchanged from their previous estimate. Argentina is drier than normal but weather models are showing a good chance for showers by next week. Funds continue to appear comfortable sitting on a large short position in CBOT corn. The latest Commitment of Traders report for the week ended Oct 1 shows them increasing their net short position in corn by 25,573 contracts to a hefty 151,918 lots. Black Sea corn prices have risen somewhat this past couple of weeks as vessels line up waiting to load a stalled harvest. The IGC report Black Sea corn offers at around $204 FOB, versus $213 on the US Gulf, $209 in Argentina and $207 in Brazil. Russia's corn harvest is 42.9% done at 5.5 MMT. FranceAgriMer report that the French corn harvest is only making slow progress, up from 6% cut a week ago to 16% done, but well behind last year's pace when 43%. US demand data is beginning to turn a bit more positive, with this week's ethanol production numbers up to the highest levels in more than a year and weekly export sales for the week ending Oct 3 coming in at 1.34 MMT. Dec 13 Corn closed at $4.40, down 1/4 cent; Mar 14 Corn closed at $4.52, down 1/2 cent. For the week Dec 13 was down 1 1/2 cents, with Mar 14 falling 2 cents. Wheat: Wheat futures closed around 5-7 cents lower on the day. The latest Commitment of Traders report for the period ending Oct 1 shows fund money switching from a net short position that they've held and built on all year to a modest net long position of 3,223 contracts. Ideas that India could be a more aggressive exporter for the coming year could be bearish, if the cabinet agree to the suggested 16% cut in their wheat export target price to $260 FOB. The last time they were aggressive sellers they moved the market significantly lower as the rest of the world cut prices to match them, although that was when prices were above $300 FOB. The Buenos Aires Grains Exchange said that the Argentine wheat harvest was 1% complete, down 3.5 points on this time last year. They stood by their wheat production forecast of 10.35 MMT. There's been no further estimate released by the Argentine Ag Ministry after last week's subsequently withdrawn as erroneous 8.8 MMT forecast. Russia's wheat harvest is past 95% complete at 53.3 MMT in bunker weight, which would suggest a final clean weight crop of around 52-53 MMT, allowing 5-7% for screening etc. Production in 2012 was 37.7 MMT. Russian winter grain plantings have been complete on 13.4 million hectares versus 15.5 million this time a year ago and 14.9 million in 2011. Russian wheat exports are in decline, French wheat exports are stable and out of Ukraine they are rising. The latter will soon start to focus on corn shipments however. Egypt remain out of the market since their last cancelled tender a couple of weeks ago. South Korea bought 54,900 MT of US wheat and 25,500 MT of Canadian wheat for Feb–March shipment. Dec 13 CBOT Wheat closed at $6.90 3/4, down 5 3/4 cents; Dec 13 KCBT Wheat closed at $7.59, down 5 1/4 cents; Dec 13 MGEX Wheat closed at $7.45, down 7 cents. For the week, CBOT wheat fell 15 cents, with Kansas down 9 3/4 cents and Minneapolis losing 15 1/4 cents. 25/10/13 -- EU grains closed mixed but mostly lower, with the euro rising to a 2-year high against the dollar capping upside potential. The pace of EU exports has dipped off in the past couple of weeks if the volume of export licenses granted by Brussels is anything to go by. Nevertheless they are still well ahead of last year, and the trade feels that exports will pick up again in the new year once cheaper sellers stocks dwindle. There's also talk that the rainy weather in Russia and Kazakhstan that slowed harvesting may also have caused there to be a much higher proportion of the wheat there as being only suitable for feeding this year. Nov 13 London wheat closed GBP0.10/tonne firmer at GBP165.75/tonne, whilst Jan 14 was down GBP0.40/tonne at GBP167.00/tonne. Nov 13 Paris milling wheat settled up EUR0.25/tonne to close at EUR205.00/tonne. Nov 13 Paris rapeseed was down EUR5.50/tonne at EUR370.00/tonne. For the week, Nov 13 London wheat was GBP0.85/tonne lower, Nov 13 Paris wheat rose EUR0.50/tonne and Nov 13 Paris rapeseed fell EUR7.00/tonne. Whilst soybean prices have been flat to slightly lower across the past month, rapeseed prices have been rising and maybe getting a little ahead of themselves considering that we are looking at a record global crop in 2013/14. There's also been some talk lately of crushers on the continent switching into soybeans and sunflowers, both of which are mid-harvest and offer more attractive crushing margins. The Russian harvest is finally starting to wind down at 91.3% done, producing a bunker weight grain crop of 89.2 MMT to date. That includes 53.3 MMT of wheat off 95.4% of the planned area, along with 15.8 MMT of barley (off 91.3% of plan), 5.5 MMT of corn (42.9%) and 6.9 MMT of sunflower (57.3%). Winter plantings in Russia have advanced to 13.4 million hectares, 82% of the original target. Russia's wheat exports are expected to fall from 2.4 MMT in September to around 2 MMT this month, and probably decline further towards the end of the year. For now though things are looking better in Ukraine, the Stats Office said that the country had exported 1.9 MMT of wheat in September, a 37% rise versus August and 50% more than in September 2012. Egypt was the top destination taking 23% of that total. The Ukraine Weather Centre said that the combination of heavy rain in September, followed by a drier and warmer October, has been an "extremely favourable factor for vegetation" and that winter crops were looking good ahead of dormancy. Ukraine agronomist Mike Lee said that it was looking increasingly likely that winter wheat plantings would be able to match last year's levels after all. The leading French grain port of Rouen has had an "average" week, shipping 150 TMT of grains, including 71 TMT of soft wheat to Algeria. 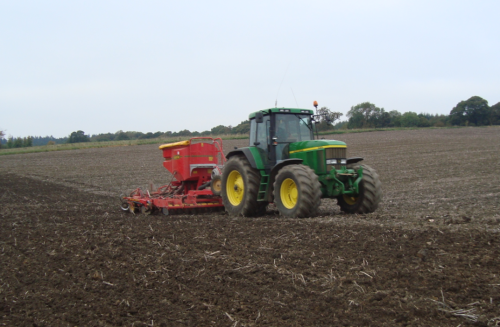 FranceAgriMer reported that winter wheat crops there had advanced from 39% planted last week to 54% sown this time round, far higher than last year's 31%. Emergence is 34% versus only 13% this time in 2012. Winter barley is 77% sown versus 48% a year ago. Emergence is 56% compared to only 23% in 2012. The corn harvest is only making slow progress though, moving from 6% cut to 16% done, well behind last year's pace when 43% of the crop was already in the bin. The Spanish Ministry raised their estimates for this year's grain production. Soft wheat output was increased from 6.4 MMT previously to 6.7 MMT, a 43% rise on last year. They increased their durum wheat estimated only slightly from 903 TMT to 905 TMT, although that's more than double their output in 2012. Barley production is now seen at 10 MMT versus 9.4 MMT previously and up by two thirds on 6 MMT a year ago. The Spanish corn crop is now forecast at 4.8 MMT versus 4.7 MMT previously and 4.2 MMT last year. The wheat harvest is underway in Australia, there's talk of bumper production in Western Australia state, the country's main export hub, although there could be some problems in the east. They've also now just about begun the wheat harvest in Argentina. 24/10/13 -- Soycomplex: Weekly soybean export sales of 929,800 MT (for the delayed reporting week to Oct 3) were supportive, with the market expecting 600-800 TMT. Meal sales of 850 TMT were the best of the season so far and well above the 150-250 TMT that the trade thought likely. For beans cumulative sales are now 74% of the USDA target for the full season versus 51% normally at this time. Meal sales are 45% of target compared to the 5-year average of 29%. The Midwest is seen cold but dry across the next 4 days, with some rains back in forecast for the 5-7 day period. MDA CropCast left their forecasts unchanged from a week ago for US soybean production at 3 billion bushels (81.63 MMT), along with Brazil (86.92 MMT) and Argentina (54.08 MMT). Brazil got widespread rains last week, and they should remain abundant again this week, they said. Early soybean growth should progress well, although these rains may slow planting a little, they added. Nov 13 Soybeans closed at $13.09 3/4, down 1/4 cent; Jan 14 Soybeans closed at $13.03 3/4, down 1/4 cent; Dec 13 Soybean Meal closed at $426.00, up $4.60; Dec 13 Soybean Oil closed at 41.13, down 37 points. Corn: The corn market closed 2-3 cents weaker despite weekly export sales for the week ending Oct 3 coming in at 1.34 MMT versus the 300-600 TMT that the trade was expecting. Of that total 428 TMT went to "unknown" destinations and 230,600 MT to China. Total net corn sales for the season now total 51% of USDA projections versus 43% normally at this time. Separately, the USDA reported the sale of 210 TMT of US corn to Mexico for 2013/14 shipment. Dryness in Argentina is expected to continue for another week, although some models have decent rains in the 6-10 day outlook. Corn planting there is already well behind schedule. Brazil is in line with normal though, and the weather there is now conforming to a more seasonally wet pattern. Russia's corn harvest is 42% done at 5.4 MMT. Yields are averaging 5.27 MT/ha, up 29% on this time last year. MDA CropCast left their forecast for the US 2013 corn crop unchanged at 13.357 billion bushels (339.3 MMT). There were no changes either for Brazil (73.6 MMT) or Argentina (24.9 MMT), nor indeed anywhere else around the globe. Midwest showers next week could slow harvesting a bit when/if they arrive, they noted. Dec 13 Corn closed at $4.40 1/4, down 2 1/2 cents; Mar 14 Corn closed at $4.52 1/2, down 2 3/4 cents. Wheat: The wheat market finished around 5-6 cents easier. Weekly export sales of 653,600 MT were in line with trade forecasts of 400-700 TMT, and included 192,500 MT for Brazil. Interest from the latter continues to provide a welcome boost for US exports. Cumulative sale are now running at 64% of the USDA target for the season versus 60% normally. India reportedly cancelled a wheat tender when the best bid (said to be $269 FOB) failed to live up to the government's unrealistic minimum target of $300 FOB. Two state-owned firms are now tendering to sell 280 TMT of wheat for Dec shipment. There's talk of the government revising it's price ideas lower, possibly down to a minimum floor price of $260 FOB to open the door for more sales. State-owned stocks are well above recommended buffer levels after a couple of years of bumper Indian wheat production. 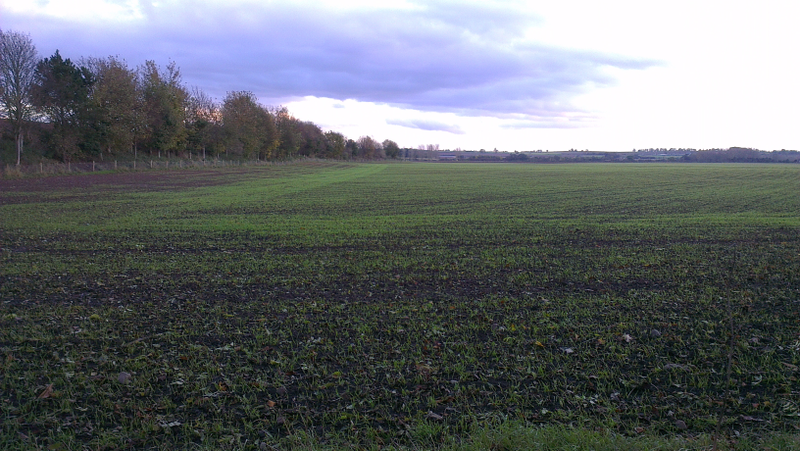 Another 92-94 MMT wheat crop is expected this spring. MDA CropCast cut their forecast for the Argentine wheat crop by 0.9 MMT from last week to 10 MMT. Russian winter grain plantings have advanced 4.2 million hectares in the past fortnight to now stand at 13.4 million ha. The weather outlook there seems conducive to further expansion for the next 5-7 days. Dec 13 CBOT Wheat closed at $6.96 1/2, down 5 1/4 cents; Dec 13 KCBT Wheat closed at $7.64 1/4, down 6 1/2 cents; Dec 13 MGEX Wheat closed at $7.52 1/4, down 6 1/2 cents. 24/10/13 -- EU grains closed lower, partially correcting from the recent rise. Talk of frost damage in Australia and ideas that Argentina may soon limit exports is supportive. So too are late/unfinished winter grains plantings in the FSU. An impending record world corn crop is not however. Nov 13 London wheat closed down GBP0.35/tonne at GBP165.65/tonne, Nov 13 Paris wheat ended EUR2.75/tonne lower at EUR204.75/tonne and Nov 13 Paris rapeseed was EUR4.75/tonne weaker at EUR375.50/tonne. Russia's 2013 harvest is finally drawing to a weather-delayed close at 89 MMT off 91.1% of the anticipated area. A year ago at this time they'd only harvested a crop of 72 MMT. The 2013 wheat harvest stands at 53.3 MMT off 95.2% of plan, with the barley harvest at 15.8 MMT off 91.2% and the corn harvest at 5.4 MMT off 42.2% of the planned area. All these tonnages are in bunker weight. ProZerno forecast a clean weight Russian grain harvest of around 90 MMT, including "about" 51 MMT of wheat, 15.1 MMT of barley and in excess of 10 MMT of corn. Last year's clean weight harvest was 37.7 MMT of wheat, 14 MMT of barley and 8.2 MMT of corn, according to the USDA. ProZerno forecast Russian 2013/14 wheat exports at 16 MMT, maybe more, with barley exports at 2.7 MMT and those for corn at 2.6 MMT. The Russian Ministry now say that winter grain plantings for the 2014 harvest are complete on 13.4 million hectares, or 82% of the originally predicted area. That's up 1.8 million hectares in a week and 4.2 million higher than a fortnight ago. The Ministry now only expect plantings to reach 14 million hectares before winter sets in. The Ukraine Ministry meanwhile are standing by a forecast for a 2013 grain harvest of a record 60 MMT, with exports being "at least" 28 MMT and possibly as much as 30 MMT. APK Inform say that although the country has the potential to export 30 MMT of grains in 2013/14, only 23.5 MMT is more likely given infrastructure constraints. That potentially means that 2013/14 ending stocks would be record high and include 5.5 MMT of wheat, 1.2 MMT of barley and 6.2 MMT of corn. APK Inform see final 2013 winter grain plantings in Ukraine at around 6.0 million hectares for wheat and 1 million ha for barley. The original Ministry targets were 6.7 million and 1.2 million respectively. The German Stats Office report that the country exported 2.5 MMT of grains in Jul/Aug, versus 1.5 MMT a year previously. Wheat exports rose from 733 TMT to 1.3 MMT. MDA CropCast dropped their Argentine wheat production forecast by 0.9 MMT to 10.0 MMT, the second cut in a fortnight. The Philippines reportedly bought Ukraine wheat at a cheap looking $260 C&F for November shipment in a tender. Iraq bought 100,000 MT of Australian wheat and 50,000 MT of Canadian wheat for Nov/Jan shipment. India cancelled a tender to export wheat after deeming the bids received as being too low. They still appear to want a minimum of $300/tonne FOB. Brussels issued 384 TMT of soft wheat export licences this past week, that's up on the 269 TMT granted last week, but just ok compared to the early season pace. We may need a few more weeks at this sort of level yet to see if this is the start of a new trend. 24/10/13 -- Rapemeal prices on the continent are sharply higher versus yesterday morning. Prices began to rise mid-morning yesterday on short covering and talk of mills switching out of rapeseed crushing and into more profitable lines such as soy or sunseed. 23/10/13 -- Soycomplex: Strong export demand underpins soybeans. The USDA reported the sale of 120,000 MT of US soybeans to Russia for 2013/14 delivery. An unusual sale, and one that was said to be the largest single Russian purchase of US beans in 12 years. The USDA attaché in Brazil estimated Brazil’s 2013/14 soybean crop at a record high 88.0 MMT, the same as the USDA themselves forecast in September. The attaché pegged Brazilian 2013/14 soybean exports at 45 MMT, versus the 42.5 MMT estimated by the USDA themselves last month. Lanworth estimated the 2013 US soybean crop at 3.215 billion bushels, with yields at 41.8 bu/acre. They pegged the world soybean crop at a record 288 MMT, up 2 MMT from previously. Oil World forecast the Brazilian soybean crop at 87.3 MMT (from 81.6 MMT in 2012/13), with Argentina producing 53 MMT (48.5 MMT). They also forecast large jumps in rapeseed production from Canada (16.4 MMT from 14.0 MMT) and Europe (21 MMT from 19.7 MMT. Weekly export sales for the week ending Oct 3 will be released tomorrow. The trade is expecting bean sales of around 600-800 TMT. Nov 13 Soybeans closed at $13.10, up 7 3/4 cents; Jan 14 Soybeans closed at $13.04, up 6 1/2 cents; Dec 13 Soybean Meal closed at $421.40, up $5.30; Dec 13 Soybean Oil closed at 41.50, down 2 points. Corn: Corn jumped on short-covering, aided by weekly ethanol production rising to a 16-month high 897,000 barrels/day. There's good export interest around, although generally it isn't necessarily US corn that they are buying. Vietnam bought 400,000 MT of Brazilian corn for Jan/March shipment at values said to be around $245-250 C&F. Taiwan bought 60 TMT of Brazilian corn from Dec shipment, rejecting US offers on price. South Korea's Kocopia bought 55 TMT of US or South American origin corn for Feb shipment. Lanworth estimated the global corn crop at 955.0 MMT versus a previous estimate of 952.0 MMT. They see the US corn crop at 13.792 billion bushels, with yields at 156.2 bu/acre. The weather in Brazil is looking up, but Argentina remains dry in Buenos Aires province, Cordoba and southern Santa Fe. Corn planting here is well behind schedule and we may ultimately see a larger switch out of corn and into beans than the market currently expects. Trade estimates for tomorrow's weekly export sales are 300-600 TMT. Dec 13 Corn closed at $4.42 3/4, up 4 1/2 cents; Mar 14 Corn closed at $4.55 1/4, up 4 1/4 cents. Wheat: Chicago wheat managed to close above USD7/bu, although only just. Whilst there is strong world demand for wheat, corn prices at less than $4.50/bu are capping the upside for now. South Korea bought 54,600 MT of US milling wheat for Feb/March shipment along with 25,500 MT of Canadian milling wheat for Feb shipment. Some analysts are cutting their forecasts for Australian wheat production this year on crop damage in eastern states. A Reuters poll put Australia’s 2013/14 wheat crop at 25.3 MMT, up versus last year's crop of 22.1 MMT but below the USDA's 25.5 MMT forecast. Some other estimates have been at 26.0 MMT. The Commonwealth Bank of Australia trimmed their forecast from 25.2 MMT to 23.6 MMT. Lanworth estimated the world wheat crop at 707.0 MMT versus a previous estimate of 706.0 MMT. The Argentine Ministry are yet to release a corrected version of their "honest error" forecast for a wheat crop there of only 8.8 MMT. Weekly export sales due out tomorrow are expected to come in between 400-700,000 MT. Dec 13 CBOT Wheat closed at $7.01 3/4, up 1 cent; Dec 13 KCBT Wheat closed at $7.70 3/4, up 5 1/4 cents; Dec 13 MGEX Wheat closed at $7.58 3/4, up 2 1/2 cents. 23/10/13 -- EU grains closed firmer, with Nov 13 London wheat up GBP1.40/tonne to GBP166.00/tonne, Nov 13 Paris wheat EUR2.50/tonne higher at EUR207.50/tonne and Nov 13 Paris rapeseed EUR1.75/tonne steadier at EUR380.25/tonne. The market continues to press higher, which is in line with the normal post-harvest seasonal tendency at this time of year. The Russian grain harvest now stands at 88.5 MMT off 90.7% of the anticipated area. Wheat accounts for 53.1 MMT of that off 94.9% of plan, with yields averaging 2.33 MT/ha, up almost 25% on year ago levels of only 1.87 MT/ha. They've also harvested 15.7 MMT of barley off 90.9% of plan. Russian winter grain plantings are now said to stand at 13.1 million hectares, or 79.9% of the originally planned 16.4 million ha. The Russian Ag Ministry have lowered their forecast for winter grain plantings now to 14.0 million ha. Winter plantings in Ukraine have also advanced markedly in recent weeks, after persistent rains slowed progress to a crawl in late September/early October. It seems that whilst improvement is being made in the Black Sea, there are still many concerns with how well the wheat will germinate given the late start. Firmer wheat prices of course mean an increased incentive to plant more for 2014. The US winter wheat area is seen increasing almost 3% to 57.7 million acres in 2014. There's talk that the French wheat area could rise by 2-3%, with UK plantings up more like 23-24%. Barley at a GBP25-30/tonne discount here is hardly going to encourage anything different. 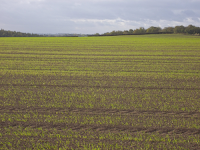 Winter wheat plantings in Germany are nearly complete, with sowings in the north of the country expected to be finalised in the next 7-10 days. Strategie Grains forecast the UK wheat area at 2.02 million hectares, not quite the all time high reached on 2000, but very close to it and sharply up on the 1.63 million ha sown for the 2013 harvest. With barley prices disappointing, oat levels being even worse and the various problems associated with winter OSR last year, the French analysts could still prove to be a bit low yet on their forecast. The Commonwealth Bank of Australia have cut their forecast for the wheat crop Down Under from 25.2 MMT to 23.6 MMT due to crop losses in the east. Russia bought 27.4 TMT of intervention grain as it continues to replenish it's domestic stocks, at also bought almost 30 TMT yesterday. Oil World estimated the EU-28 OSR crop at 21 MMT, an increase of almost 7% on last year. EU rapemeal values shot higher today on reports that mills here are switching to more profitable soybean/sunseed crushing. Nevertheless, Reuters reported that the EU has agreed to slap a huge import duty on biodiesel imports from Argentina and Indonesia (who account for 90% of EU biodiesel imports), which should in theory mean that Europe will produce more rapemeal. 23/10/13 -- Rapemeal prices on the continent are mostly a tad lower. Despite recent talk of an EU climb-down, Reuters are now reporting that the EU has agreed to slap a huge import duty on biodiesel imports from Argentina and Indonesia who account for 90% of EU biodiesel imports (full story here). That should mean that Europe would produce more rapemeal. 22/10/13 -- Soycomplex: Beans finished the day with losses of around 1-4 cents, having been down in double digits at one stage in overnight trade. Monday night's USDA crop progress report was a bit bearish, showing the 2013 US soybean harvest at 63% harvested and good/excellent conditions at 57%. Prices in excess of USD13/bu probably also generated some farmer selling. Taiwan's BSPA bought 120 TMT of US beans for Jan/Mar shipment. Oil World estimated world soybean production at 281.3 MMT, up 5.4% versus 267.0 MMT in 2012/13. They estimated 2013/14 global soymeal production at 187.8 MMT versus 178.4 MMT a year previously. Dr Michael Cordonnier estimated Brazil's 2013/14 soybean crop at a record 88.0 MMT, unchanged from his previous estimate. Reuters report that Agricola, one of Brazil's largest soybean producers, plans to increase it's soybean planted area for 2013/14 by a whopping 23%. Ag Rural said as of Oct 18 Brazilian soybean planting is 19% complete versus 20% a year ago. Dr Cordonnier estimated Argentina 2013/14 bean crop at 55.0 MMT, also unchanged from his previous estimate. Chinese industry analysts forecast their Oct bean imports at 4.562 MMT, unchanged from a previous estimate. They see bean imports rising to 6.2-6.5 MMT in November and 6.5-6.8 MMT in December. Alliance Investment Bank estimated China’s 2013/14 soybean imports at 65.0 MMT, up 8.3% from a year ago, but 4 MMT below the current ambitious looking 69 MMT forecast by the USDA. Nov 13 Soybeans closed at USD13.02 1/4, down 1 cent; Jan 14 Soybeans closed at USD12.97 1/2, down 3 cents; Dec 13 Soybean Meal closed at USD416.10, up USD0.40; Dec 13 Soybean Oil closed at 41.52, down 12 points. Corn: Corn closed 5-6 cents easier, with last night's crop progress and conditions maybe also a bit bearish for corn. "Corn maturity advanced to 94% ripe and 'safe from frost' - this indicates kernel filling was virtually finished before freezing temperatures developed last weekend," said Martell Crop Projections. South Korea's Nofi are tendering for 140 TMT of optional origin corn for March shipment. Dr Cordonnier estimated Brazil's 2013/14 corn crop at 70.0 MMT versus a previous estimate of 72.0 MMT. He forecast Argentina's 2013/14 corn crop at 25.0 MMT, unchanged from his previous estimate. The Ukraine corn harvest is halfway done at 13.8 MMT. Russia's corn harvest is 40% complete at 5.1 MMT. Safras e Mercado said that as of Oct 18 the Brazilian corn crop is 56% planted versus 49.4% a year ago. IMEA estimated Mato Grosso's corn planted area at 3.36 million hectares versus 3.7 million a year ago. They forecast the Mato Grosso corn crop at 16.3 MMT versus 22.5 MMT a year ago. This falling out of love with corn is being replicated across Brazil. In Parana state, the Brazilian Secretary of Agriculture estimated the 2013/14 corn area at 699,000 hectares, down 20% from a year ago. The weekly US ethanol production report comes out tomorrow, last week's grind was 869,000 barrels/day versus the circa 900,000 bpd needed to hit the USDA's target for demand from that sector. Dec 13 Corn closed at USD4.38 1/4, down 5 3/4 cents; Mar 14 Corn closed at USD4.51, down 5 3/4 cents. Wheat: Wheat closed 1 to 4 cents higher on the day. Question marks remain over the potential size of Argentina's 2013/14 wheat crop. Agritel estimated it at 10.1 MMT. Whist the Argentine Ministry seem to have admitted that last week's 8.8 MMT forecast was erroneous they haven't yet issued a revised estimate. Conspiracy theorists suggest that the withdrawal of the number may have been to avoid the suggestion of a farmer-upsetting export ban prior to the upcoming weekend elections. Only time will tell. The weather in the Black Sea finally seems to want to continue to co-operate with harvesting and planting of winter grains. Recent warmer and drier conditions are forecast to continue until the end of the month. The Russian grain harvest is past 90% complete at 88 MMT, versus 71.9 MMT this time a year ago. The wheat harvest is almost 95% done at 52.9 MMT, along with over 90% of the barley crop at 15.6 MMT. Ukraine's grain harvest meanwhile currently stands at 47.1 MMT off almost 80% of the planned area. Winter plantings in Russia are now almost 80% of the original government target at 13 million hectares. Jordan bought 100 TMT of optional origin milling wheat for Feb shipment. US winter wheat planting is in line with normal at 79% done, and good/excellent crop conditions of 65% are promising for a very good crop in 2014 at this early stage. Informa Economics also forecast the 2014 all wheat planted area up 1.6 million acres on the USDA's estimate for 2013. Dec 13 CBOT Wheat closed at USD7.00 3/4, up 1 cent; Dec 13 KCBT Wheat closed at USD7.65 1/2, up 4 1/4 cents; Dec 13 MGEX Wheat closed at USD7.56 1/4, up 4 1/2 cents. 22/10/13 -- EU grains closed mixed but mostly lower, with Nov 13 London wheat ending GBP0.90/tonne easier at GBP164.60/tonne, whilst Jan 14 was GBP0.40/tonne down at GBP166.10/tonne. Nov 13 Paris milling wheat settled up EUR0.25/tonne to close at EUR205.00/tonne. Nov 13 Paris rapeseed was down EUR1.75/tonne at EUR378.50/tonne. It's been a very "no news" sort of a day. Basically the market doesn't seem to know what to do. We are still relatively in the dark concerning yield potential in the US as regards to corn and soybeans, and it would seem that we have fully three more weeks to wait to get some kind of clarification concerning those. The recent Argentine confusion over wheat production potential there certainly hasn't added any stability/reliability to the market. The general vibe is one of operating blind basically, which isn't offering any comfort. On top of that we have a situation where severely delayed winter plantings in Russia and Ukraine appear to have largely caught up, at least according to the respective local Ministries they have although some question this, and we are basically stumbling around in semi if not total darkness. Russia's wheat harvest is said to be almost 95% done at 52.9 MMT. Winter grain plantings are apparently done on 79.5% of the original target at 13 million hectares. In Ukraine, the Ministry said yesterday that grain plantings for 2014 now stand at just over 7 million hectares, or 86% of the originally planned area. The Black Sea region is seen continuing warmer and drier over the next 2 weeks, boosting crop prospects. Algeria bought 150 TMT of optional origin durum wheat for Nov/Dec shipment in a tender. Other tender activity is relatively light. EU wheat crop conditions look generally very good heading into winter, as they also do in the US. London wheat appears to be at the top end of the recent range (going back to early 2012) compared with corn values, according to the HGCA. 22/10/13 -- The overnight Globex grains are mostly red, with the soy complex leading the way. Front month Nov 13 beans are currently 10 1/4 cents lower, with meal down around USD2.50 and wheat shedding a 2-3 cents. Corn is narrowly mixed. Russia's grain harvest is now 90.2% complete at 88 MMT, according to the Ministry. A year ago it stood at 71.9 MMT. The wheat harvest is said to be 94.5% complete at 52.9 MMT. A year ago that was only 39.6 MMT. They've harvested 90.6% of the barley crop, producing 15.6 MMT, 39.8% of the corn crop producing 5.1 MMT and 44.1% of the sunflower crop producing 5.7 MMT. Russian winter plantings are now said to be complete on 13 million hectares, or 79.5% of the original target. A year ago at this time it was 15.5 million hectares, and it was 14.9 million at this point in 2011. The Ukraine harvest now stands at 47.1 MMT, off 84% of the planned area. A year ago at this time it was only 39.7 MMT. The Ukraine corn harvest is now said to be 50% complete, producing a crop of 13.8 MMT to date. South Korea's NOFI are tendering for 140,000 MT of corn for arrival by Mar 15 and Mar 25 along 60,000 MT of feed wheat for arrival by Feb 10. World corn prices: FOB NOLA $210; Argentina $207; Brazil $183; Black Sea $200 (vs. Black Sea feed wheat at $245). World soymeal prices: NOLA $545; Argentina $532; Brazil $522. NYMEX crude oil now trades below $99/barrel for the first time in 3 1/2 months, although Brent holds above $110/barrel. The relaxed attitude to shale gas expansion in the US, relative to that in Europe, is the reason for the widening gap. Oil World forecast the world soybean crop up 5.4% from 267.0 MMT in 2012/13 to 281.3 MMT in 2013/14. They have the world rapeseed crop rising 5.6% from 63.9 MMT to 66.5 MMT and global sunflower output up by 11.2% from 35.6 MMT to 39.6 MMT. 22/10/13 -- Rapemeal prices on the continent are mixed today, CBOT soymeal was firmer last night but is weaker in overnight trade offering little in the way of direction. 21/10/13 -- Soycomplex: Nov 13 beans managed to push through USD13/bu and hold - a level said to be likely to trigger producer selling in the midst of harvest. The USDA reported 235 TMT of US soybeans sold to unknown for 2013/14 shipment. Weekly export inspections of 59.325 million bushels were supportive too. Chinese customs data showed that they imported 4.7 MMT of soybeans in September, 5.4% less than a year ago, of which 3.6 MMT came from Brazil - a 52% rise on a year ago. They imported no soybeans last month from the US at all. Rapeseed imports came in at 233 TMT, a 26% rise on 12 months previously. Jan/Sep soybean imports are now 45.75 MMT, up 3% versus 2012, of which 27.5 MMT came from Brazil - a 24% rise on a year ago. The US only accounted for less than half the total shipped from Brazil - 12.5 MMT, a 24% decline on Jan/Sep 2012. Jan/Sep rapeseed imports are at over 2.5 MMT, a 24% rise on the same period in 2012. It looks very much like Chinese soybean imports, whilst growing, are not expanding at anything like the breakneck pace that the USDA has pencilled in for 2013/14 - partially at the expense of increased usage of much cheaper rapeseed. The Central Organisation for Oil Industry and Trade estimated India’s summer oilseed output at 16.9 MMT, up 11% from a year ago due to the best monsoon rains in over 10 years. Safras e Mercado estimated Brazil’s 2013/14 soybean crop at a record 89.2 MMT versus a previous estimate of 88.2 MMT, the USDA's 88.0 MMT and 82.0 MMT in 2012/13. They estimated Brazil’s 2013/14 soybean exports at a record 45 MMT versus 42.5 MMT from the USDA. They said that as of Oct 18 17.8% of Brazil’s soybean crop has been planted, sowing good progress from 6.7% a week previously. CNGOIC said there will be no Chinese soybean auction this week as the government look to build reserves. After the close the USDA said that the 2013 US soybean harvest was 63% harvested, a bit better than many expected (and versus 11% in the last report from the end of September). Good/excellent was 57% versus 53% at the end of September. Both should add a bearish tone to trade in the morning. Nov 13 Soybeans closed at USD13.03 1/4, up 12 cents; Jan 14 Soybeans closed at USD13.00 1/2, up 10 3/4 cents; Dec 13 Soybean Meal closed at USD415.70, up USD5.60; Dec 13 Soybean Oil closed at 41.64, down 4 points. Corn: Corn closed towards the top end of another narrow daily trading range, supported by export inspections of 32.272 million bushels, which were above the 19-29 million expected by the trade. Chinese customs data shows that they imported virtually no corn at all last month - just 1,537 MT, down 99.6% from a year ago. Cumulative 2013 calendar year to date imports are down 61% on a year ago at 1.6 MMT. Weekly ethanol production came in at 869,000 barrels/day versus 868,000 bpd last week and the near 900,000 bpd needed to hit the USDA target for the season. Argentine corn planting is only 19% done versus 34% a year ago. Central Argentina needs more rain, but only light rain is in forecast for the next 7 days. There's talk of a larger, possibly much larger, switch into soybeans and away from corn the the official figures currently show. There's also talk of a similar trend developing in Brazil, and also of growers cutting back on the costs by using less expensive but lower yielding seed and reducing their fertiliser inputs in an effort to cut production costs. It may well be therefore that the current USDA estimates for a Brazilian corn crop of 72 MMT, and one from Argentina of 26 MMT, in 2013/14 are finally proven to be too high. The Russian 2013 corn harvest is 37.3% complete at 4.8 MMT. Ukraine's corn exports are picking up now that the harvest is in full swing. They exported 354 TMT of corn in the week through to Sunday, versus 152 TMT in the week prior. After the close the USDA said that the 2013 US corn harvest was 39% compete versus 53% normally, although probably a bit further advanced than many had expected and compared to 12% in the last such report at the end of September. Good harvest weather for the week ahead should enable some good further progress to be made. Corn at the mature stage was up to 94%, compared to the 5 year average of 95%. Good/excellent ratings came in at 60% versus 55% at the end of September. Reports of better than expected yields remain a generally common theme. Dec 13 Corn closed at USD4.44, up 2 1/2 cents; Mar 14 Corn closed at USD4.56 3/4, up 2 3/4 cents. Wheat: Wheat took a tumble from near 5-month highs after it was revealed that the Argentine Ministry forecast for a wheat crop there of only 8.8 MMT this year was incorrect. In a refreshingly frank admission, the Under Secretary at the Ministry said that there had been an "honest mistake" made and that a correct, and higher, revised estimate would be released at an unspecified date. Ukraine wheat was the cheapest offered in the Iraqi tender. In what also looks like it could be a mistake one cargo was offered at USD326 CIFFO, versus the next best Ukraine offer at USD344.12 CIFFO. Romanian wheat at USD348.35 was priced at the next best level, followed by Russian (USD355), Hungarian (USD355.38), Australian (USD362.50) and Canadian (USD369.50). The best German offer was USD376 and US wheat was the "also ran" at USD394 (all prices CIFFO). In other news, weekly US export inspections offered no support at 20.582 million bushels versus 27.219 million the previous week. The USDA reported 79% of the US winter wheat crop for the 2014 harvest had been planted, bang in line with normal. Good/excellent crop conditions are an impressive 65% with only 4% of the crop rated poor/very poor. Chinese customs data shows that they imported 718.5 TMT of wheat in September, with 95%, or 684 TMT, of that total coming from the US - more than double the volume of US wheat they imported in the corresponding month in 2012. As far as year to date wheat supplies go, China have imported 58% of their Jan/Sep requirements from the US (1.643 MMT). Again this is more than double the volume imported from the US in the same period in 2012. Canada is their second largest supplier at 624 TMT. followed by Australia (543 TMT). Russia's grain harvest is said to be 88.9% complete at 86.8 MMT, including 52.4 MMT of wheat off 93.2% of the planned area. Winter plantings are complete on 12.5 million hectares, 76.3% of the original target. Ukraine's winter grain planting has now been completed on 7.02 million hectares, 86% of the original target. That includes 5.9 million hectares of wheat (88% of plan). Dec 13 CBOT Wheat closed at USD6.99 3/4, down 6 cents; Dec 13 KCBT Wheat closed at USD7.61 1/4, down 7 1/2 cents; Dec 13 MGEX Wheat closed at USD7.51 3/4, down 8 1/2 cents. 21/10/13 -- EU grains closed mixed, but mostly mostly lower to start the week, after the Under Secretary at the Argentine Ag Ministry was revealed to have said that last Thursday night's (generally released Friday morning in Europe) surprisingly low estimate for a wheat crop there this year of only 8.8 MMT was an "honest mistake" and that errors had been made in compiling the data. He didn't give a revised forecast, but said that the next one would be higher. We don't know when that will be, the next scheduled date for a crop report from the Arg Ministry is not until Nov 21. As this now erroneous news was what propelled the market to 3/4/5 month highs, depending on whether you are looking at London, Paris or Chicago wheat, it should only to be expected that things would move lower in light of today's revelation. Most of Friday's gains remained entact at the finish however. EU markets closed with Nov 13 London wheat settling GBP1.10/tonne weaker at EUR165.50/tonne, whilst Nov 13 Paris milling wheat was EUR0.25/tonne higher at EU204.75/tonne, whilst Nov 13 Paris rapeseed rose EUR2.25/tonne to EUR380.25/tonne however. With US corn prices recently setting more than 3-year lows, growers in the States will already have one eye on weighing up their options with regards to plantings for the 2014 harvest. The most obvious is a switch to soybeans from corn, but also one to wheat. Informa Economics forecast on Friday that US farmers will plant 1.6 million acres more wheat for the 2014 harvest than they did this for season. They will also plant a lot more soybeans too, as they cut their corn area by 5.7 million from the current USDA estimate (although that may ultimately be reduced a little in next month's WASDE report). Plantings for 2014 are also what is on traders' and growers' minds elsewhere. For winter wheat, these are well ahead of last year both in France and at home here in the UK, where crop conditions also look much better than they did 12 months ago. 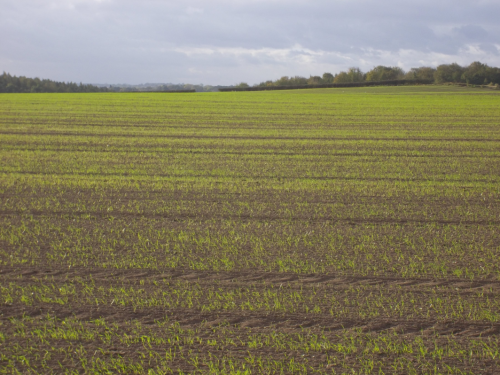 It's thought possible that the UK could plant a record winter wheat area this year. The current price differential with barley will certainly encourage doing so. In Ukraine, the Ministry say that grain plantings for 2014 now stand at just over 7 million hectares, or 86% of the originally planned area. Wheat accounts for 5.9 million ha of that (88% of the intended 6.7 million ha), along with 915k ha of winter barley (77% of plan). Ukraine had planted 7.73 million ha of winter grains this time last year, including over 6.5 million ha of wheat. In Russia, winter grains are said to have now been planted on an area of 12.5 million hectares, 76.3% of the original target, versus 15.1 million ha this time a year ago. Whilst both those two sets of planting figures lag last year, they are much better than the "drastic" area cuts that the market was fearing was likely a few weeks ago, which was the catalyst to send the wheat market sharply higher. Meanwhile, Russia's grain exports are slowing, whilst Ukraine's are speeding up. Russia shipped 1.07 MMT of grains in the Oct 1-16 period, including 832 TMT of wheat, taking their 2013/14 marketing year to date total to 9.97 MMT, a rise of only 7% on last year. SovEcon estimated Russia’s October grain exports at 2.6-2.7 MMT versus 2.93 MMT in September. They will need to get a move on to even hit that reduced target. Ukraine meanwhile exported 990 TMT last week alone, up 71% on the previous week. That included 680 TMT of wheat (up 63%) and 354 TMT of corn (up 133%). Ukraine's corn exports are expected to continue to gain on those of wheat now that the harvest is in full swing. Ukraine wheat was said to be the lowest bid in the Iraqi tender this morning. China's wheat imports appear to be picking up, as expected. They shipped in 718.5 TMT of wheat in September, a 37% increase on the same month in 2012, with 95% of that total coming from the US. Even so, their Jan/Sep calendar year to date imports still lag 2012's by 12% at 2.842 MMT. They also imported 232.8 TMT of rapeseed in September, a 26% rise on Sep 2012. That takes their 2013 calendar year to date imports to 2.523 MMT, a 24% rise on the same period in 2012. The USDA will report on US crop progress for the first time this month later tonight. Around half an inch of rain fell over the weekend in parts of Kansas and Oklahoma, the two largest US winter wheat states, where crops are looking much better than in recent years. "Much above normal rainfall has developed in Kansas, promoting very favourable planting conditions. Indeed the US leading winter wheat state is experiencing the best field moisture in several years," said Martell Crop Projections. 21/10/13 -- Rapemeal prices on the continent are firmer across the board again today, continuing with the recent theme, even though soymeal values in Chicago were down on Friday. As a percentage of soymeal cost, rapemeal prices now offer the worst value they have for 12 weeks. 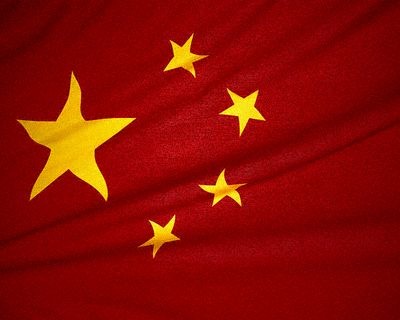 21/10/13 -- Latest customs data out of China shows that they imported the following grains/oilseeds in September: 4.7 MMT of soybeans (down 5.4% versus September 2012), 718.5 TMT of wheat (+37%), 336.6 TMT of barley (+67.6%) and 232.8 TMT of rapeseed (+26%). Have I forgotten something? Yes, corn, the reason I nearly forgot corn is that they only imported 1,537 MT of the stuff, a 99.6% decline on the volume imported in September 2012. That was probably a blip then? Well, Jan/Sep 2013 corn imports stand at 1.6 MMT, some 61% less than they imported during the same period in 2012, so it might not be a blip at all. For what it's worth Jan/Sep 2013 soybean imports now stand at 45.754 MMT, up 3% on a year ago; Wheat imports of 2.842 MMT are 12% down on this time last year; barley imports of 1.719 MMT are 17% lower than in 2012; rapeseed imports of 2.523 MMT represent a 24% increase. One thing that is interesting is that of the 718.5 MMT of wheat that China imported last month, 684 TMT of it (95%) came from the US - that's more than double the volume of US wheat they imported in the corresponding month in 2012. In contrast, none of their September soybean imports came from the US, with Brazil being the largest supplier (3.646 MMT) followed by Argentina (580 TMT). Another point of interest is that they imported far more rapeseed from only recently allowed back into the fold Australia (172 TMT) than old stalwart supplier Canada (61 TMT). As far as year to date wheat supplies go, China have imported 58% of their Jan/Sep requirements from the US (1.643 MMT). Again this is more than double the volume imported from the US in the same period in 2012. Canada is their second largest supplier at 624 TMT. followed by Australia (543 TMT). Of their total Jan/Sep soybean imports of 45.754 MMT, Brazil has supplied 60% (27.544 MMT), the US 27% (12.524 MMT) and Argentina 8% (3.588 MMT). Brazil's volume is up 24% versus 2012, America's is down 24% and Argentina's down by 15%. Russia's grain harvest now stands at 86.8 MMT, off 88.9% of plan, according to the Ag Ministry. They've harvested 93.2% of the wheat area, producing a crop of 52.4 MMT to date. The barley harvest is 90% done at 15.5 MMT and the corn harvest 37.3% complete at 4.8 MMT. Winter grains have now been planted on an area of 12.5 million hectares in Russia, 76.3% of the original target. At least according to the Ministry they have. This time last year they'd planted 15.1 million ha, and in 2011 it was 14.6 million ha. Russia's Oct 1-16 grain exports were 1.07 MMT, including 832 TMT of wheat, 153 TMT of barley and 75 TMT of corn. They've now shipped 9.97 MMT of grains since the start of the 2013/14 marketing year, up 7% versus 12 months ago. The Ministry's aim is for full season exports of 18-20 MMT. In Ukraine meanwhile, exports are picking up as more corn comes onto the market. Grain shipments last week totalled 990 TMT, up 71% from the previous week. They've exported 7.79 MMT of grains this season so far, up 9.8% versus last year. That includes 4.8 MMT of wheat, 1,73 MMT of barley and 1.19 MMT of corn. I omitted to tell you over the weekend that Informa pegged US all wheat plantings at 57.7 million acres for the 2014 harvest, a rise of 1 million on their previous forecast and 1.6 million more than was planted for this year. With winter wheat also looking in much better shape this year we could therefore see a significant rise in US wheat production next year. It's interesting to note that deciding to plant the largest corn area in 75 years when the latter was running at parity close to parity with wheat last spring now means that corn prices are on their arse, relatively speaking versus wheat and soybeans. Now it would seem that US farmers are to switch out of corn in big way next year, simultaneously jumping ship for soybeans (and wheat to a lesser degree). Growers in Brazil and Argentina have also been thinking along the same lines. Could it be that there will be a tidal wave of soybeans on the global market next year? A lot depends on the weather and Chinese demand, but at "only" 3% up so far this calendar year, will the latter's imports really jump 16% in the 2013/14 marketing year as currently forecast by the USDA? It looks a tall order to me. Note too that they are stepping up their rapeseed imports at a much faster rate than those for soybeans.